The mother of a boxer who once fought for Ireland has failed in a legal bid to have a newspaper that reported her drugs offences banned from publishing a photograph obtained from her Facebook page. A High Court judge refused Helen McKee’s application for an interim injunction against The Irish News after backing its right to freedom of expression. Details of the ruling, which is being seen as important for how the media covers criminal proceedings, can be revealed after a temporary anonymity order was lifted. Last year McKee, 44, of Cliftonpark Avenue in north Belfast, received a suspended sentence after pleading guilty to smuggling drugs into Maghaberry Prison in 2015. Her 26-year-old son, Brendan McKee, a prominent boxer from Manor Street in the city who fought for Ireland at representative level, was also handed a suspended term for having cannabis on the same date. At an earlier stage the newspaper had carried a report under the headline ‘Boxer’s mother accused of bringing drugs into jail’, accompanied by a photo of Helen McKee obtained from her Facebook profile. The image showed her socialising in a private residence and “clearly in a cheerful mood”, the court heard. 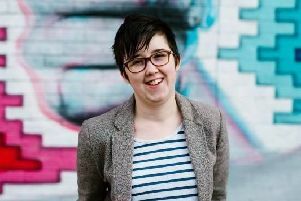 She claimed breach of privacy and copyright, and sought an interim injunction to prevent any further publication of the photo by The Irish News. Lawyers representing the newspaper defended the legal move, arguing that it was in the public interest for readers to be fully informed about serious criminal cases. The photograph was taken from images posted on McKee’s Facebook page for public viewing with no privacy settings, they contended. It was also pointed out that no objection had been raised to the subsequent use of a standard press photograph of her leaving court following another hearing. Noting the dispute over the settings on McKee’s Facebook account, Mr Justice Burgess was faced with balancing her privacy rights against the newspaper’s freedom of expression entitlements. With no issue taken over the reported details of the offence, the judge identified the main objection as being the social setting of the plaintiff reflected in the image. McKee’s main action is now expected to continue in the county court. Following the decision the newspaper’s editor Noel Doran said: “It is clearly essential for daily newspapers such as The Irish News to provide fair, accurate and responsible coverage of criminal cases, especially those involving drug smuggling in our prison system.